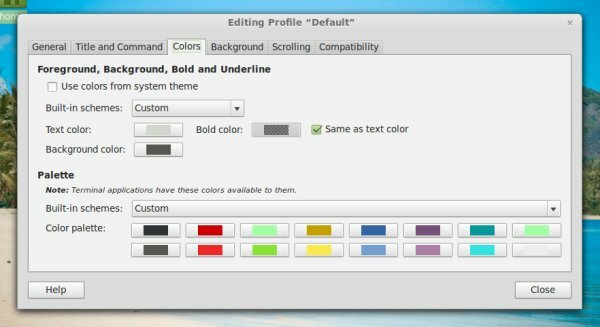 Since every aspect of Linux is customizable, so is the terminal. Why not spice it up instead of working on a plain white box? To do so, just open one and go to the Edit menu where you select Profile Preferences. This changes the style of the Default profile. In the Colors and Background tabs, you can change the visual aspects of the terminal. Set new text and background colors here and alter the terminal's opacity. On the other menus, you can create more profiles that you can save and also change fonts.